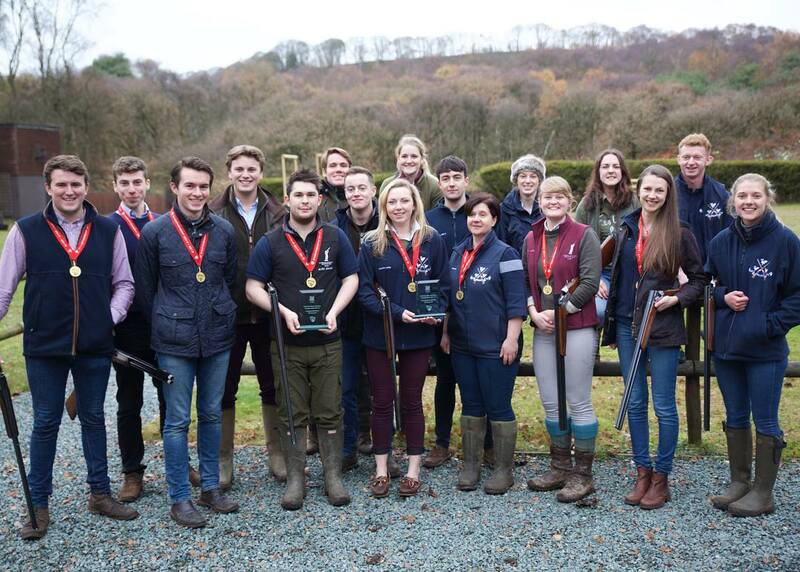 Liverpool University Shooting Team’s Success in 2017! Back in 2015, Catton Hall Shooting Ground were approached by four young students from Liverpool University. Charlotte, Joanna, Sam and Ollie. They were in the early stages of building a Liverpool University Clay Shooting Team. Starting up a new sport for students to take part in had its troubles, and persuading the University to go along with a Shooting team was a task. But through an amazing amount of determination and hard work they made it happen. Catton Hall ran ‘taster sessions’ to give those who had never shot before a chance to see what it was about, and on a Wednesday afternoon lots of students would come down to shoot on the grounds as it was the Open Practice Day. The aim was to put together a team for BUCS (British University & Colleges Sport) Clay Shooting Championship which is held at Hodnet in the West Midlands. Shooting Teams from all over the country take part in early December, this was the dream, to win this event! 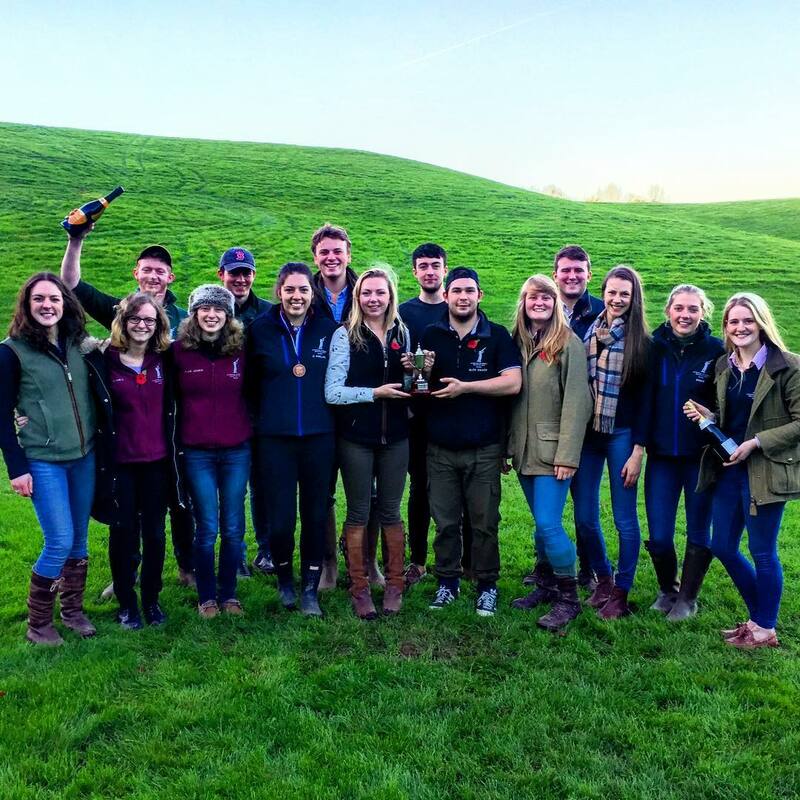 With sponsorship and help, they had managed to buy a couple of club guns for people to share and with no expectations turned up a couple of month later to compete at BUCS. A few jokes about the Liverpool team and ‘sawn off’ shotguns were made but this didn’t affect anyone. Liverpool held their own and on the day the Men’s team had finished in 2nd place and the Ladies 8th. An unbelievable achievement considering things had only been in progress for a couple of months. Progress since has been fast. More guns bought and so many more people wanting to take part. The influx of Freshers in 2016 was incredible, some days there were over 40 students coming along to have a go. Due to this vast amount, the more experienced students were often looking after the new shots and spending all their time helping and teaching and integrating them into the group, a really impressive commitment but its fair to say it meant they didn’t get chance to focus on their own shooting quite so much. This did effect BUCS 2016, after so much optimism and hard work put in, it was disappointing when they did not hit the heights they had wanted. The Ladies finished 7th and had improved on 2015 but this wasn’t good enough for them, they had wanted better. Maybe it didn’t go quite to plan, but they had found themselves a lot of new talent who would be ready for the next year! 2017 Began, Charlotte and Joanna had to pass the reigns over as they were moving into their placement years and wouldn’t be able to oversee the team. Charlotte Luther took over as President, Chris Deakin as VP and Alec Davies as Team Captain. Their plan was to make sure that the main players didn’t have all their time taken up with teaching and helping, so that they could make sure that they were focusing on their own shooting and preparation. With the help of Catton Hall SG and a few others along the way, the new shots could learn whilst the experienced practised and prepared. As a warm up the very first ‘Liverpool Cup’ was held in early November. The first shoot of the year. Hosted by Catton Hall SG, the Liverpool Team ran the Day. Over 120 competed from Universities all over the country from Newcastle to Oxford. The effort made by everyone was quite magnificent. From all of those from Liverpool who help to Referee the event, and all those who travelled and shot on the day. 3:30pm, the Scores were in! Top 4 individual scores to count. The Liverpool Men’s Team has scored a Total of 335/400. Harper Adams were the usual favourites and Royal Agricultural were expected to be pretty close too. Both finished with 328. Liverpool Men had won! It didn’t end there though; the Ladies Team had scored a superb 261 to put them in second place behind Royal Ag with 267. This meant the combined scores were 595 to Royal Ag…. Liverpool were on 596. They had won it by a single clay! Great success on their home ground and full of confidence heading into BUCS a month later! People were starting to take notice and realise it was now not a two-horse race with Harper Adams and Royal Ag, there were a new team of stars ready to cause an upset! The Team shot at Catton Hall SG on the Wednesday and they were all very confident and relaxed going into Sundays Shoot. Harper Adams had some scores to settle though, disappointment at the Liverpool Cup meant they’d be out fighting, and a lot of the Universities from the South would be looking for some success too. 3pm and the scores were in, everyone had felt they had shot well and no one had underachieved, collectively they new they had done all they could have and it was just a case of waiting and seeing. The Men’s scores came in, Harper Adams had finished 3rd, 320/400, Oxford Brookes 2nd with 321, a single clay between the teams. 1st place had 331, 10 clays clear of the pack! They had destroyed the opposition! Liverpool Men’s Team! They had done it!! George Forrester-Coles 86, Ed Wright 84, Alec Davies 82 and Sam Parkes/Chris Deakin 79. Ladies Scores, Exeter had finished second with 257, the Winning Team had 270… The Liverpool Ladies had done it too!!! Again, destroying the opposition by a mile, 13 Clays between them! The hard work and effort had paid off, Emma Percival 71, Libby Ratcliffe 68, Danielle Fullard 67 and Charlotte Luther 64. Winners of BUCS 2017 – Liverpool University – Men’s and Ladies Teams. Incredible. The team has only been at it for two and a half years and they have come so far already. An amazing group of professionals, who work hard and put so much time and effort in to everything they do. They are a credit to themselves and students of Liverpool University, and here at Catton Hall we are immensely proud to have been part of their success. Here’s to many more years supporting them!